I’ve found information on two Mage orders in Gnomeregan, one a public work Guild and the other a secret society. The Secret Society called themselves the Lords of Time. They appear to have been what we would call Arcane mages. A lot of the documents I looked at had allusions to them, but very few direct mentions. They appear to have simply vanished, if they ever existed at all. Their symbol is convoluted. Something about an hourglass with objects orbiting around it, in circles, while concurrently the same objects pass through the hour glass in a straight line. Who could make sense of that? More commonly know, were the Steamfitters Union. This union had two branches the Accelerants (fire mages), and the Hydrobinders (frost mages). The Accelerants controlled power, and the Hydrobinders control the water. 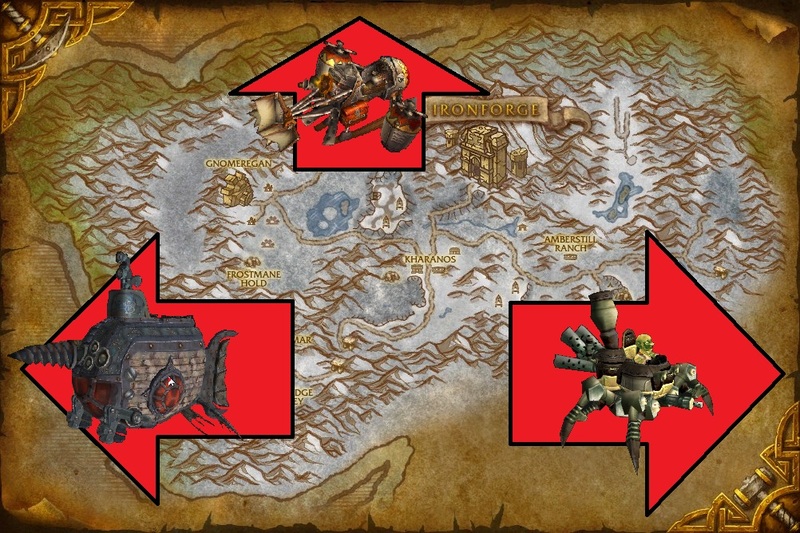 They worked together to create the massive steam driven engines that power Gnomeregan. The Accelerants made use of a stylized graph indicating that alluded to controlled increases in power. And the Hydrobinders used a depiction of some kind of Filter with pipes at the bottom. I’m having the bibliotech at Gearshaft University added to the binary buzz box system. Looks like their used to be Gnomish Orders. The tinkers unions for Gnomish and Goblin engineering have survived, but a ton of groups have become obsolete. I’ll be posting those as I get them translated. Some of them have made it in some way to the modern world, there are others I can’t understand what they ever did. Here are the first few. They appear to be Warrior groups. Teratrooper Infantry – These gnomes armed with sword and shield patrolled the natural tunnels that connect to Gnomeregan. They were trained to stand together in tight formation and cut off narrow passages with their shields. The Force Reactive Disk was invented by them for them with the intent to interlock and dig in to the walls of a tunnel. This tradition has continued on in to the modern Gnomeregan Infantry. They are represented as a bulwark guarding interlocking gears. Sentry Committee – These gnomes guarded the surface of Gnomeregan. They specialized in the larger weapons used by other races. The idea apparently being that by using the largest weapons possible they would prove they were equally capable in martial ability. Because of Gnomeregans narrow entrance, there were far fewer of these gnomes. They were finally disbanded when the gnome monarchy ordered Gnomeregan sealed. They are represented by three weapons with one handle. The Pummelers – In the notes above there are references to another group called ‘The Pummelers’. This appears to be a derogatory term for gnomes that did not have the discipline to operate in the tight groups of the Infantry, or the technical prowess of the Sentries. These gnomes put more ’emotion’ in to their battles than any other. There are records of some as champions. 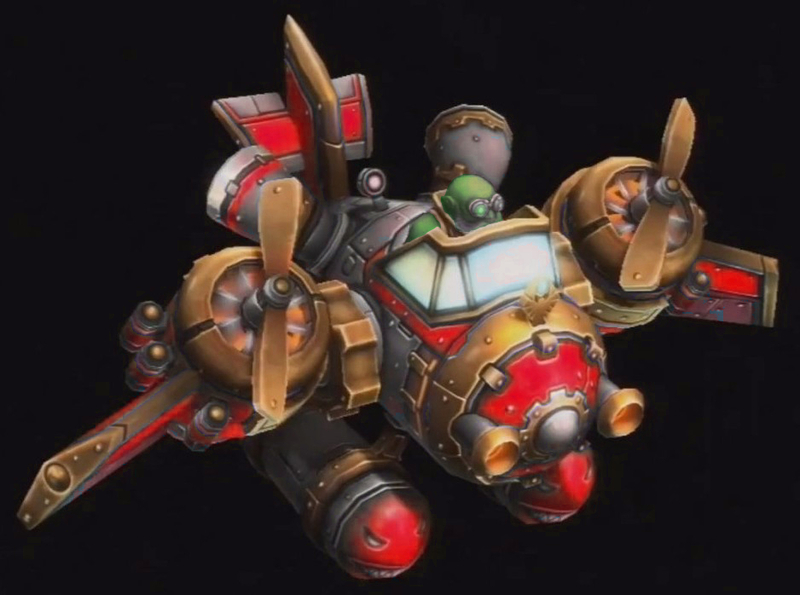 It’s been a while since Mekkatorque has been challenged for his roll of High Tinker. I think it’s about High TIME someone challenged him again! 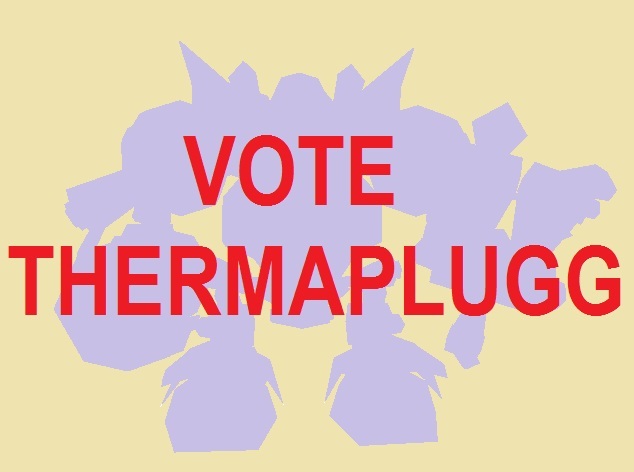 I’m officially announcing my candidacy for High Tinker! I have put in a petition with the Tinker’s Council to allow Leper Gnomes to vote, so if that goes through I think I can win this! 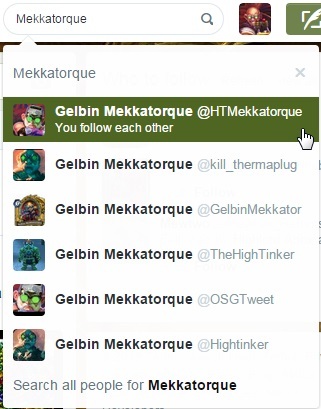 I’ve been counting and Mekkatorque’s most recent “Operation; Gnomeregan” has tipped the number of gnomes to leper gnomes in my favor.